The Junior Summer Dance Intensive provides an in-depth study for beginning to advanced students, in techniques including Traditional Chinese Dance basic training, ballet and Jazz. It will be a new and fun experience for young dancers. AACE is committed providing students with a diverse set of skills including artistry, quality, educational programming. 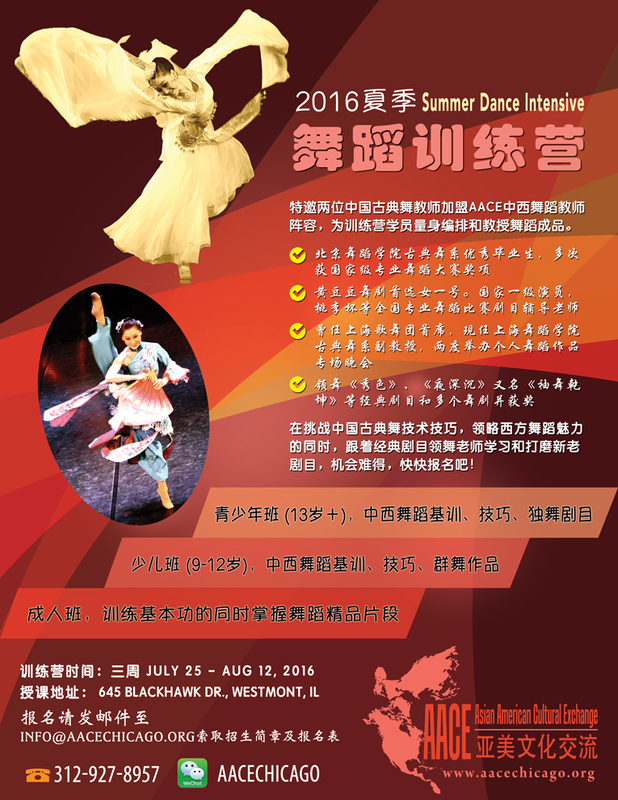 Three-week-style summer intensive variety dance training provides a unique opportunity to work closely with professional teachers and master choreographers from both China and United States. These passionate young dancers will share this cultural gem with a large variety of audiences through their frequent performances both domestically and abroad in the future.